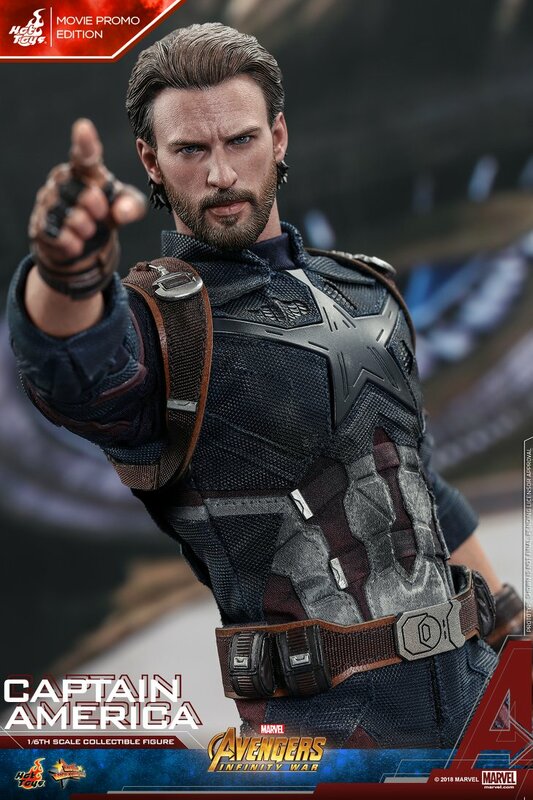 i dont know but there is something about hot toys that i hate. maybe its cause they look like big dolls. even if i had the money i would not collect them. For that price it's gonna need to ACTUALLY give me the powers of the universe. 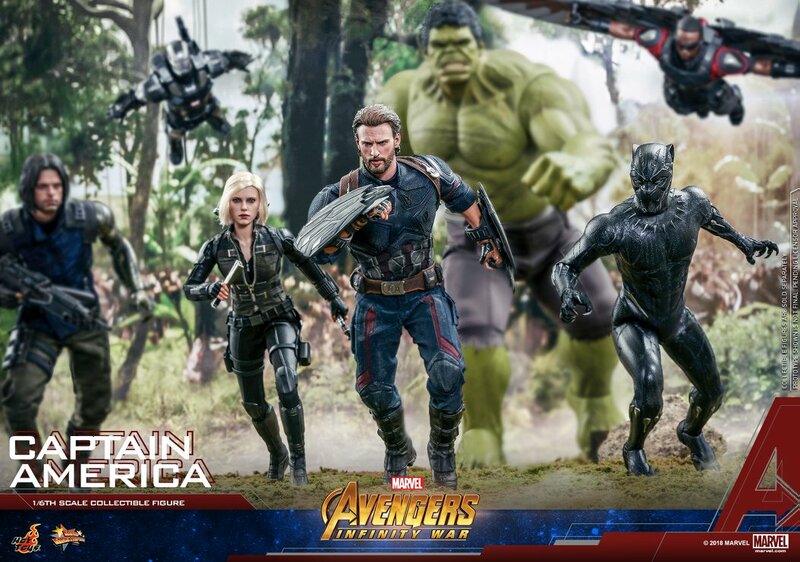 I dig the replicas, the Captain America shield I own is awesome BUT it was also less than $150. The price creep on the Hot Toys is out of hand. I understand prices rise but the pace they keep going up at is unacceptable. I'm fine with 200-250 or even higher if there is a "dynamic" base or a bunch of head-sculpts however at the current rate for normal releases... I can't justify doing it. LOVE to look at them though, very nice! The Black Widow figure is alright, but I really wish they would have went with sculpted hair on this one. Real hair rarely turns out good in my opinion. It makes it feel more like a Barbie or doll, and less like a premium, life-like action figure. It just kind of kills the overall look of the figure. But that’s just my view of it. The pricing for everything so far seems over the top. I honestly can't believe we're at the point now where a generic, albeit die-cast, IM figure is now $400+. 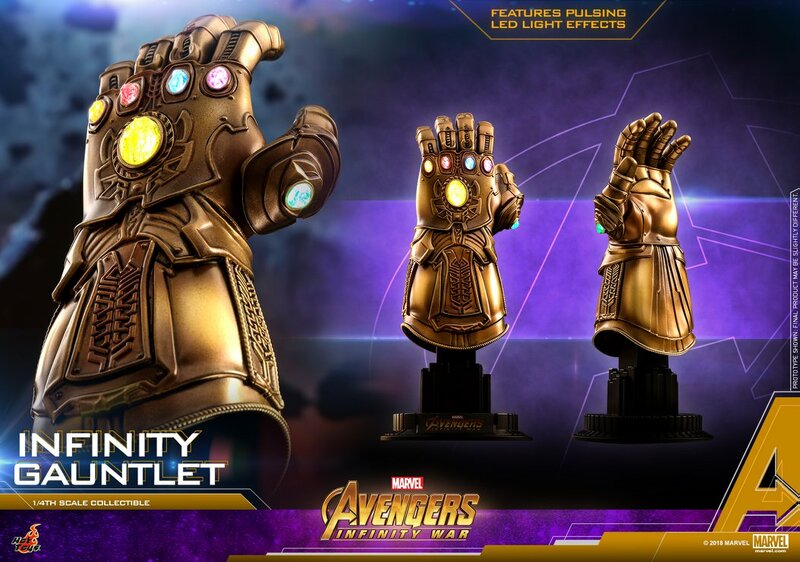 And no one I think predicted the Gauntlet to cost that much. It's ridiculous. 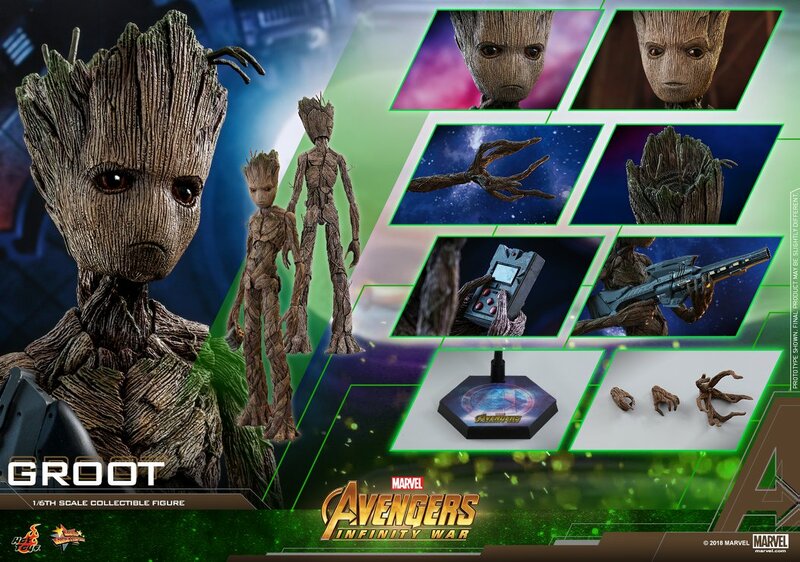 Bet ya Groot alone will cost like $210+. 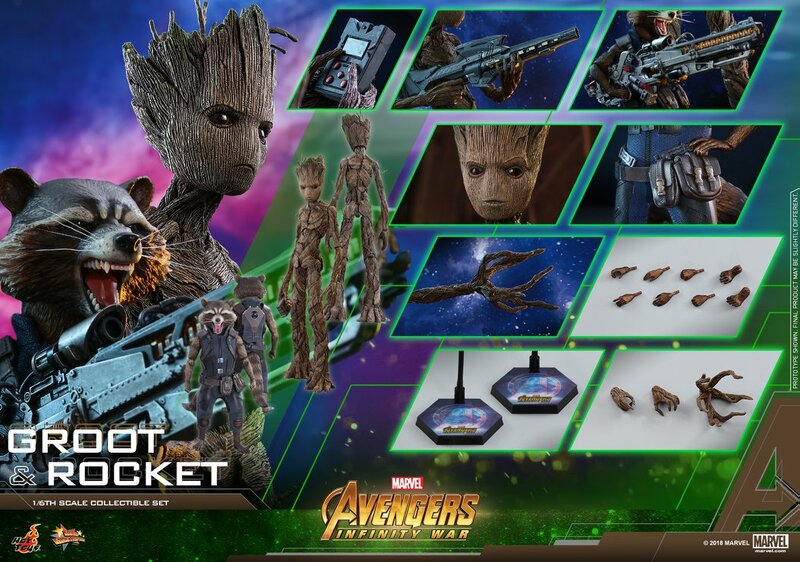 Pass on Soy Boy Groot, but I could go for that version of Rocket, if it's sold separately. Starting to really like that new Thor look especially as a Hot Toy. What can I say about Iron Man? Loving that one as well. That Thor looks cool as hell, especially capeless and with the bare arms. Ultimate Thor ftw. That sculpt really dont even look like ol fishface. Updated with way better photos! Last edited by Joe Moore; 04-12-2018 at 04:49 AM.. Thanks. I'm going to go buy some scratch offs now. holy crap. That Cap is absolutely amazing. The mystery weapon has to be his shield, right? It has to be featured in the movie. I don't know how they couldn't have this scene in the movie. Last edited by t1dc; 04-12-2018 at 07:58 AM.. I totally think he'll have his shield back at some point in the movie. But, I wouldn't want to see them reference that particular scene since we already saw a villain singlehandedly destroy a hero's unbreakable weapon in Ragnarok. Oh my god! Just wow! I am so going to try my best to get all of those lol. I still hope they are doing a Hulk though we've gotta have a new Hulk. The breaking of Cap's shield is part of the 1st battle where Thanos kills all the heroes and looks to Death for approval. Cyclops head in the box, breaking Wolverine, etc. No reaction and then Mephisto (or Loki? can't remember) convinces him to roll it all back and bring all the heroes back to life. I think when they do that part in the movie that's when Thor will get his eye back. Rebuild the shield, restore whatever else got destroyed by Thanos in the 1st wave of attack. Perfect excuse to reanimate all the dead heroes, put them back at their top power and then the fight begins anew. Or maybe not. If they do that it'll surprise the people who haven't read the book. "It was his shield. The 'mystery accessory' was his shield. There, I just saved you two long, boobless hours!" AfrikaCap looks so different as to be unrecognizable. And I was excited about this latest Iron Man, but looking more closely, it's a little too weird for my taste. Now that I have some money, I'm hoping for something closer to the Adi Granov designs. Maybe someday Hot Toys will re-release the MKIII. My favorites in this batch are Iron Spider and Loki. That's a great sculpt of Loki. That Spiderman looks soooo Amazing. I will only buy Thanos. I can hope Mezco will do 1:12 Infinity War Figures soon. 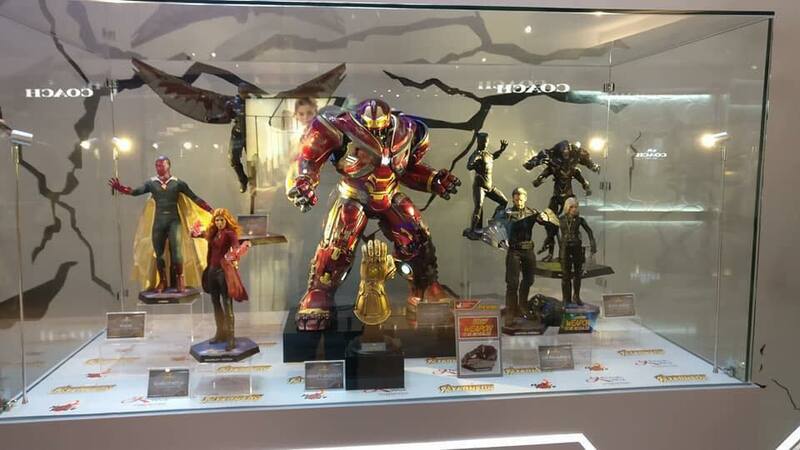 The Size of Hot Toys Figures does not fit into my Collection, only Thanos. But i hope there will be 1:12 Scale Versions of these Characters from Mezco soon. Last edited by Ventus; 04-13-2018 at 01:56 AM.. 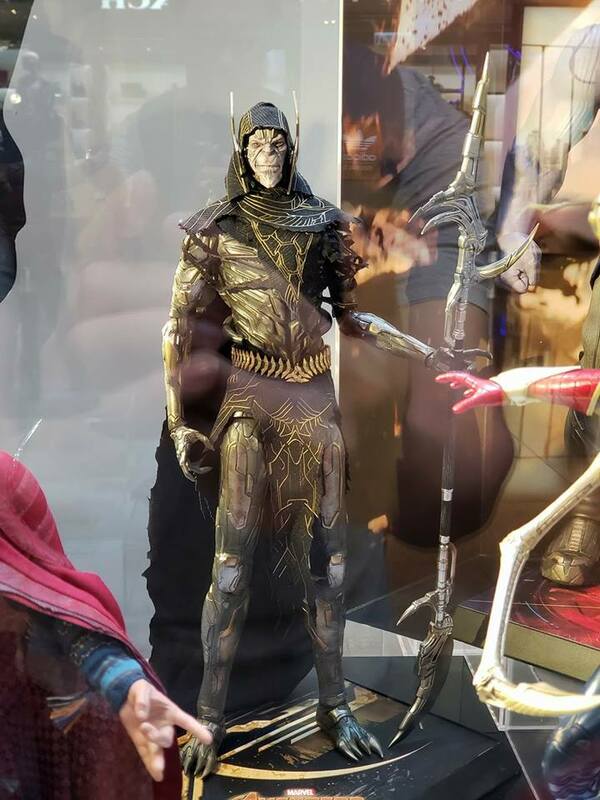 Updated with photos of Corvus Glaive.